Wiko Jerry 3 has been launched as the latest installment to the Jerry series by Wiko. This is coming a year after the Jerry 2 smartphone was released as well. The Jerry 3 is a budget friendly smartphone that boasts of 16GB storage, bezel-less screen and runs on Android 8.1 Oreo Go Edition out of the box. According to the company, the phone gives great value for money. Well, lets see how true that is. 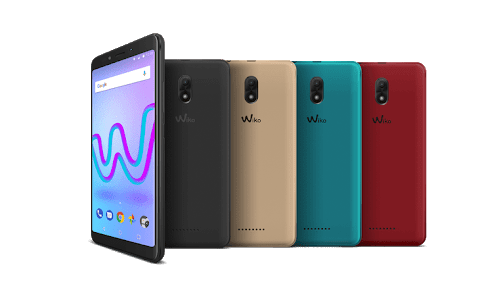 What is Wiko Jerry 3 Price and Availability Status? From afar, you could definitely tell it’s a Wiko smartphone, the vertical foundation at the rear is quite a trend and the company went through with it. It houses the rear camera and LED flash in that order, at the top middle. It’s disappointing seeing the Jerry 3 with no fingerprint scanner, even after the Jerry 2 didn’t come with the feature. Instead, the Wiko logo occupies the space and reigns supreme. Measuring 9.1mm in thickness and weighing just 172g, the device should be easy to operate. Furthermore, it’s available in Black, Gold, Red and Green colors. The first Jerry smartphone with a bezel-less screen and dishes out an 18:9 aspect ratio. Although lots of bezels are still pretty much visible, we have admit the Full View display is somewhat inviting and attractive as well. The 5.45-inch IPS FWVGA+ capacitive touchscreen displays like a budget smartphone no doubt. Boasting of a resolution of 960 x 480 pixels, with 197 pixel per inch density for nice visuals. The screen stretches up to 72.17% screen to body ratio, while a Curved Glass Screen protects it. Under the hood is a MediaTek MT6580M chipset with Quad-core processor and 32-bit CPU architecture. The 4-cores of processor runs at a speed of 1.3GHz with a 28nm process technology as well. The ARM Mali-400 MP2 graphics processor comes with 2-Core and clocks at 416MHz. For multitasking, just 1GB RAM is available alongside a memory speed of 533MHz. Store up a limited amount of files and apps in the 16GB storage space available and you can upgrade further up to 64GB. 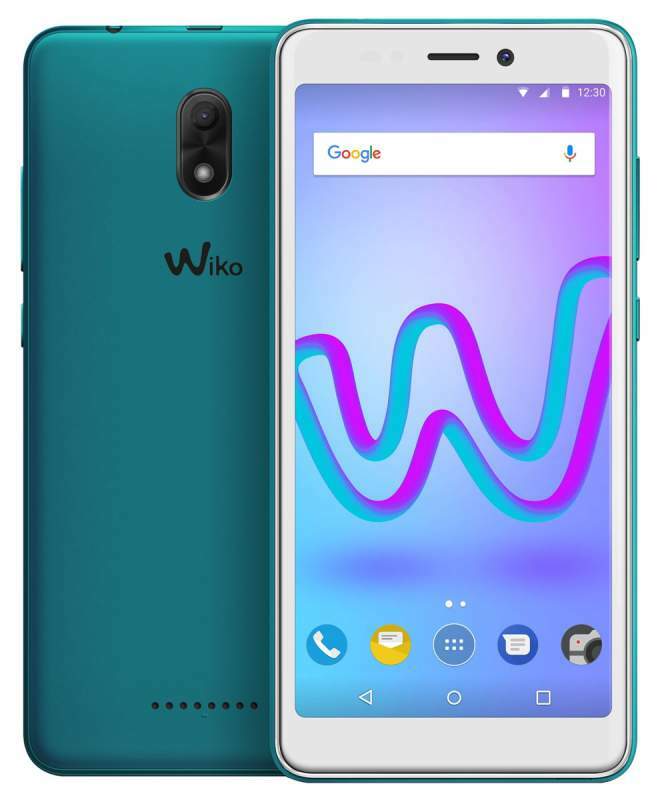 The Wiko Jerry 3 runs on Android 8.1 Oreo Go with modified user interface. For photography, the 5MP rear camera should do all the tricks, coming with features like face detection, digital zoom, HDR, ISO settings and the rest. The camera comes with a LED flash underneath and captures photographs with 2582 x 1936 pixels in dimension. Record videos of 720 pixels as well at 30 frames per second and take cute selfies with the 5MP selfie camera. Powering the Wiko Jerry 3 is a 2500mAh removable Li-Ion battery with no fast charging technology. Even without the fast charging feature, it shouldn’t take more than 2.1 hours to fully charge up the battery from 0% to 100%. The Wiko Jerry 3 is available on Shopping stores starting from $69 (N20,000) to $99 (N30,000). Click on the links above to view the latest Wiko Jerry 3 price & availability. This is more an entry level mobile device with 1GB RAM and 2500mAh battery. Though, the 18:9 aspect ratio, coupled with the curved display are an addendum that might make this appealing to some people. But the design is a really cool one. Only two things that is special about this phone are ” the 5.45 inch screen size and the Android 8.1 Oreo” the device is pure low budget phone. 1GB RAM and 2000mAh battery capacity is kind of poor and it also don’t have fingerprint scanner. Wiko should know better than this.